3 weeks and counting to my big race!! If your just tuning in, I’m running in The Ragnar relay race Feb. 24 and 25. It’s basically a team relay race. There are 12 members on our team and we each have 3 legs. My legs are 7.1, 6.3, and 9 miles. I’m so excited… and nerves. I know I’m prepared for the running portion of the race, but its the running while being sleep deprived and running so quickly after each leg that has me nerves. I’ll get 5 to 8 hours between each run, so I will get to rest somewhat, but 6 girls in a van cheering on each runner on our team isn’t gonna be ideal for sleeping conditions. Not to mention my middle, 6.3 miler, leg is probably gonna be in the middle of the night. So it should be quite the experience. Super fun!! But exhausting. Heat a large skillet over medium heat. Lightly brown uncooked tortillas set aside. Spoon refried beans into a medium bowl and stir so all parts are equally incorporated (a lot of times you’ll have large bean pieces at one end of the can and really smooth areas at the other, so you just wanna make it so the consistency is equal throughout). 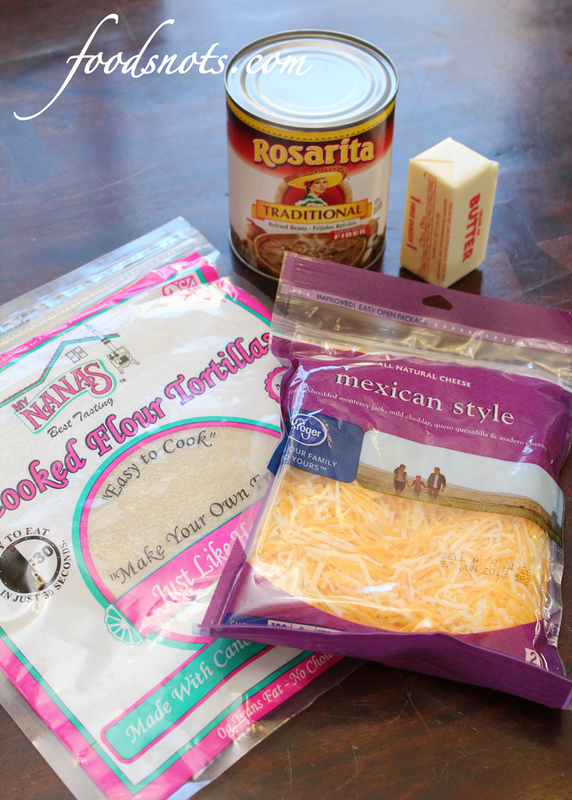 Spread 3 to 4 tablespoons of refried beans on half of each tortilla. 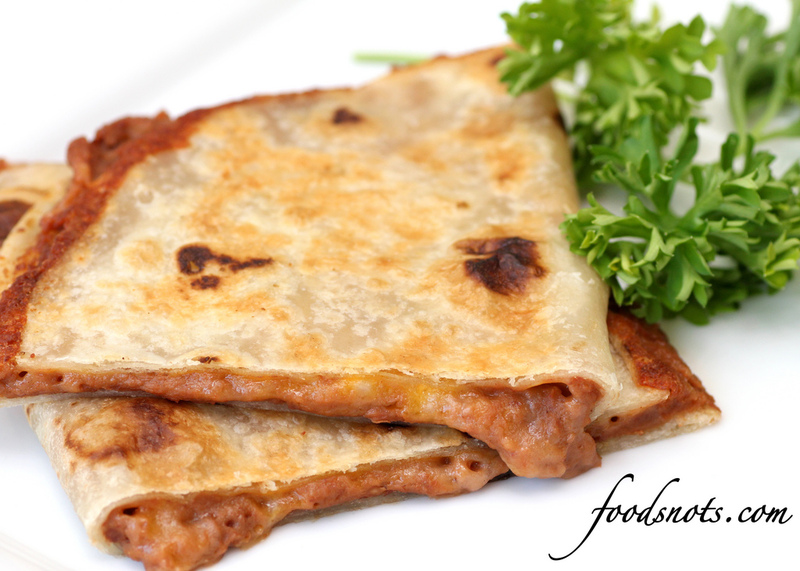 Cover beans with cheese and fold tortilla over cheese. Turn down heat to medium low and melt about 1/4 teaspoon butter in saucepan. Place tortilla cheese side down onto melted butter and let cook for about 2 minutes until tortilla turns golden brown and flip. Brown on bottom size and then remove to a plate and serve.